Ready to go … alone or with friends. . .
For me, the ease of entry and egress is great! Good range of visibility for driver and lots of head space for hats. Does not feel so much like a truck cab as many SUV type vehicles do and I really do like that. I appreciate that I can start it from inside and have it warmed up or cooled off before I touch the seat. My passengers have been comfortable and commented on how they like the feel of the car as well. Handles well and has enough get up and go to make me comfortable in most situations. Chevy Trax is a surprisingly good car you may not have considered. 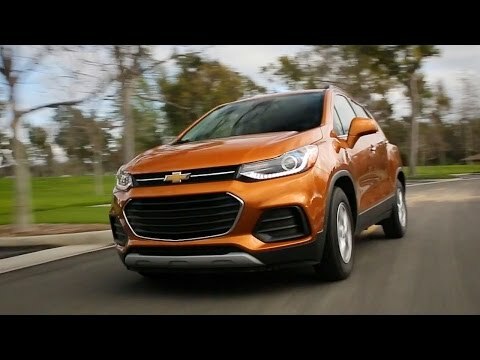 The Chevy Trax is a small, fuel efficient SUV. It makes a good commuter vehicle during the week, but also a good family car on short weekend jaunts with two kids in the back. The base model provides everything needed for a comfortable drive, including a touchscreen. Missing from the base model is cruise control. It's a really good car on gas. I don't feel like I'm constantly putting gas in my car. My vehicle is a small version of an SUV. I love my car and have no complaints about it so far. I love the technology package it came with and love the seats.